In recent years, liability waivers have become standard procedure in virtually every association between corporations and individuals. Whether a jet ski tour, your typical gym membership, or even placing your child in summer camp, corporations of all sizes are aggressively protecting themselves with liability waivers. In many cases, corporations are required to obtain liability waivers as a condition of their insurance policy. These waivers contractually preclude individuals from pursuing any kind of claim in the event of injury, even those caused by the negligence of the corporation’s employees. The waivers are typically buried within other tedious paperwork and executed by individuals without much thought. After all, no one expects to become injured. 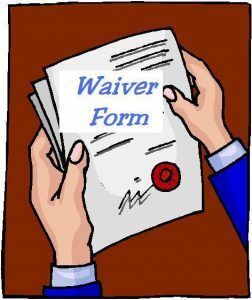 These waivers then become potentially devastating in the event of a serious or even fatal injury. Because liability waivers are presumptively valid under Florida law, they deprive injury victims of their day in court on a daily basis. Fortunately, there are a number exceptions that allow trial attorneys to overcome the injustice of liability waivers. Like any other contract, liability waivers are subject to contract defenses. Our firm has successfully defeated liability waivers on the basis of ambiguous language, improperly named parties, unequal bargaining power, and many other defenses to contract formation. Our firm has also defeated liability waivers on public policy grounds because they involve activities of high public importance or activities required by state law. Finally, our firm has prevailed in cases where liability waivers sought to improperly immunize corporations for illegal conduct or violations of safety ordinances. In each case, defeating a liability waiver requires the knowledge and creativity of an experienced trial attorney. Since our firm opened its doors in 1976, we have had the pleasure of successfully representing countless clients who thought they had no options after executing a liability waiver.